A campaign led by anti-gun activist David Hogg aimed at the advertisers of Laura Ingraham’s Fox News show The Ingraham Angle appears to have backfired as her ratings have reportedly risen by over 20 percent. 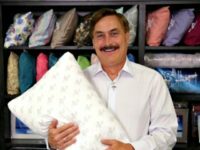 The CEO of MyPillow has said his company’s sales remain “strong” after bucking the David Hogg-led boycott of Fox News show The Ingraham Angle. 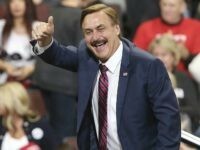 MyPillow CEO Mike Lindell has taken to Twitter to assure customers that he will not be pulling his advertising from Laura Ingraham’s Fox News show despite the liberal outrage over her feud with anti-gun Parkland kid David Hogg.